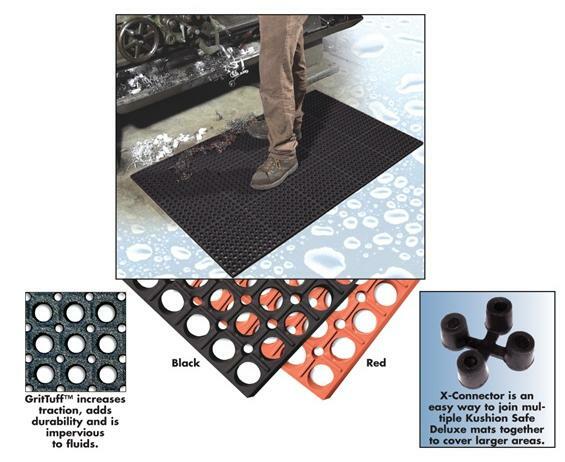 Available with GritTuff™ surface for increased traction and safety. Cushion support reduces fatigue and helps prevent accidents. Molded beveled edges to increase safety and reduce tripping. Drainage holes allow liquids and waste to pass through matting.Nibs elevate mat above the surface to allow easy drainage of fluids away from mat.Ideal for dry, wet, oily and greasy industrial workstations, work cells, bar and kitchen areas or food processing workstations. GritTuff™ mats have a durable, abrasive surface for increased traction in wet or dry areas. GritTuff™ available in Black only.Custom configurations available -- call for details. 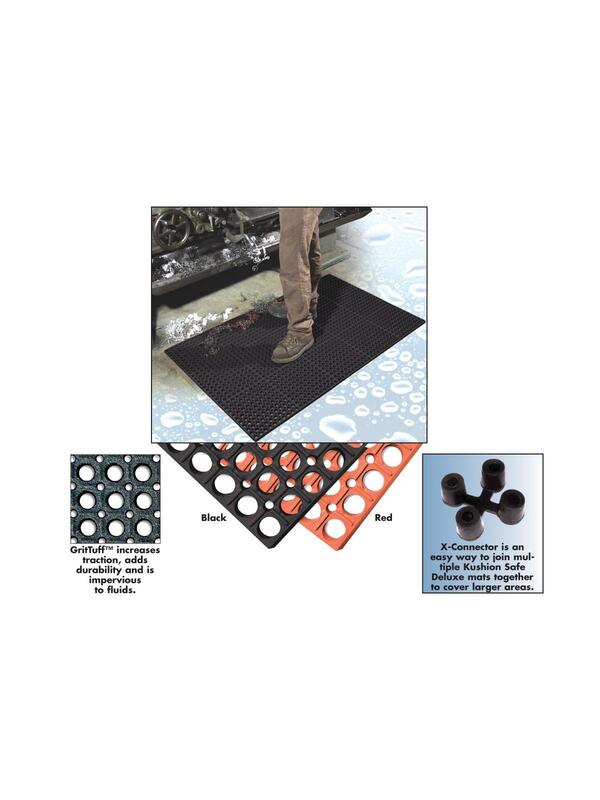 Lighter weight for easier handling and cleaning.½” thick rubber drainage mat. Available in grease-proof red, grease resistant black or black GritTuff™. Thick 7/8" rubber construction eases workers fatigue and increases productivity. Grease-proof red recommended for areas using harsh industrial fluids and greases. Also available in grease-resistant black or black GritTuff™. See Related Items tab for X-Connector for Kusion Safe Deluxe.